A man was arrested for assault of Virginia State police officers outside the Vienna Metro station Sunday as white nationalists boarded trains destined for Washington D.C. protests. 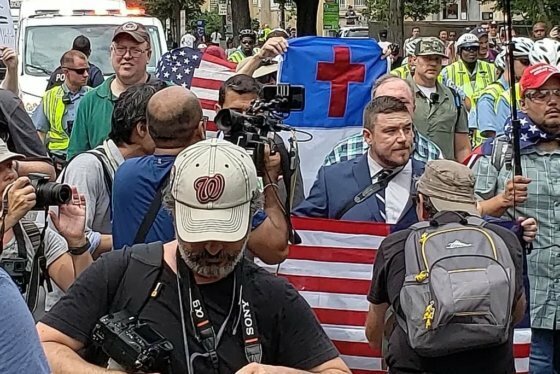 WASHINGTON — A man was arrested for the assault of two Virginia State police officers outside the Vienna Metro station Sunday as white nationalists boarded the train to the “Unite the Right 2” rally in D.C.
Donald Franklin Georgette, 30, of Washington, D.C., was arrested at about 2:30 p.m. for allegedly spitting on two Virginia State police officers, Virginia State Police spokeswoman Corinne Geller said. He was charged with simple assault and taken to the Fairfax County Adult Detention Center. 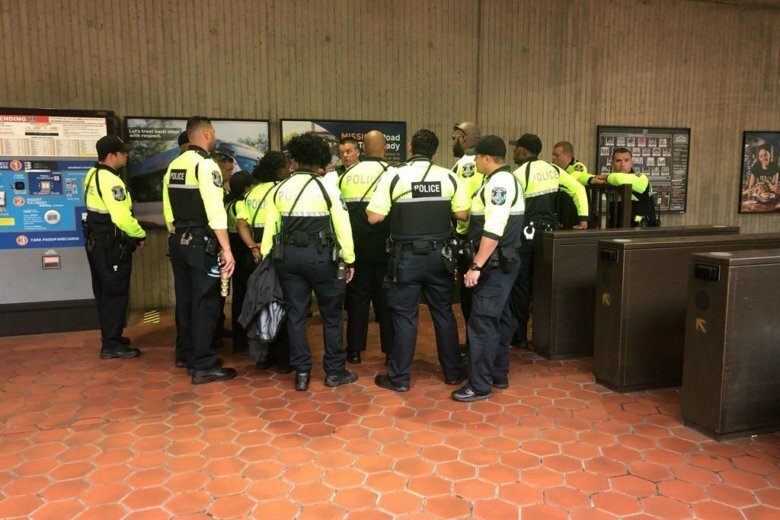 Organizers of the rally had entered the Metro station and boarded onto a car heading to the Foggy Bottom Metro station in D.C.
Fairfax County police Chief Edwin C. Roessler said that beyond the arrest, the day had been generally peaceful. “It is our goal to provide protection to everybody today, so far it’s been a pleasant day,” Roessler said. Police presence was high as both the rally organizers and counterprotesters arrived at the Vienna station. Roessler said a similarly robust presence will be there to greet protesters returning later Sunday night to make sure the groups stay separate and peaceful. Photos of the rally, protests and events around the D.C. area Sunday, Aug. 12, marking the anniversary of the deadly “Unite the Right” events in Charlottesville, Virginia.